Kevin DeYoung on the real St. Nicholas. From the outset St. Nicholas Magazine published work of the best contemporary illustrators: Charles Dana Gibson, Arthur Rackham and Howard Pyle, all contributed to St. Nicholas and later, Ellis Parker Butler, Norman Rockwell and Livingston Hopkins. 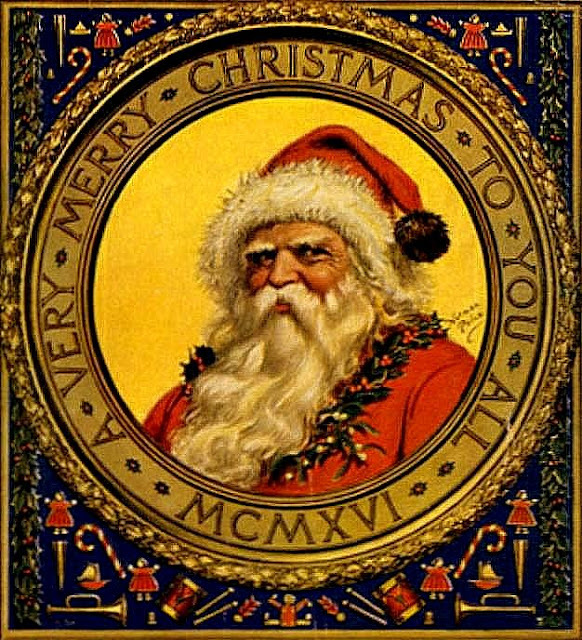 Scans of St. Nicholas magazine up through 1923 can be found here. For a time I owned some bound collections of St. Nicholas from the 19th century that had been discarded from the Milton College Library.